Are you a blogger sharing digital goodies, or a teacher wanting to make assigning digital resources to your students a little simpler? This tip is for you! I'm sharing step-by-step instructions for creating an automatic download link to a Google Drive resource! The first step is to save your resource to Google Drive. I have many files in my Google Drive, so I have created a folder that is reserved only for the files I plan to share. When you share a file electronically in Google Drive, know that you have options about who you are sharing with. For my purposes, I choose to share with anyone who has the link. That means not everyone has access, unless I want them to! 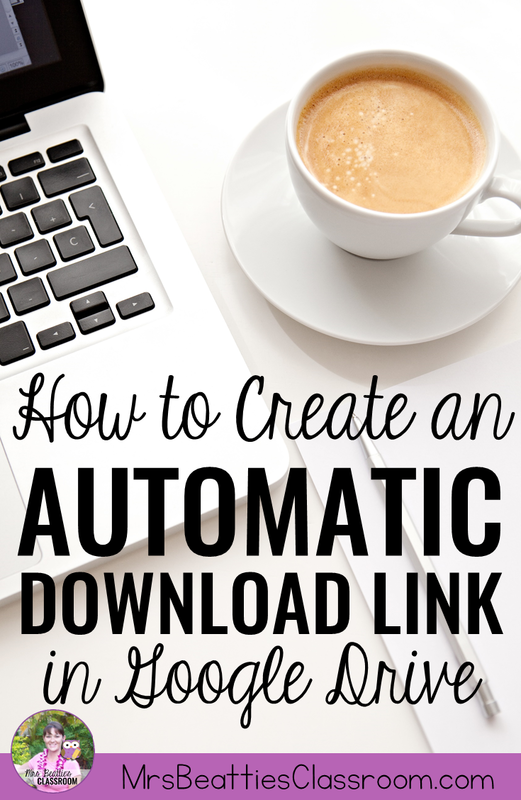 Once you have this link you will need to open Notepad or a word processing document so you have somewhere to copy and paste. It is this piece that creates the auto download. You are going to take that string of characters and paste it to the end of the highlighted URL above, right after the = sign. That should do it!! Copy the entire address and paste it into your browser's address bar to test it out. You should see your file begin to download automatically! I'd love to hear how this works for you! Please leave me a message to let me know how you'll use this, or ask for help if you need it! 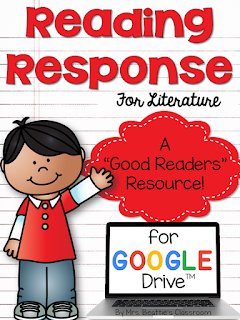 You might be interested in this package of graphic organizers for fiction for your Google classroom! Take a look at more great technology resources and tips on this Pinterest board! 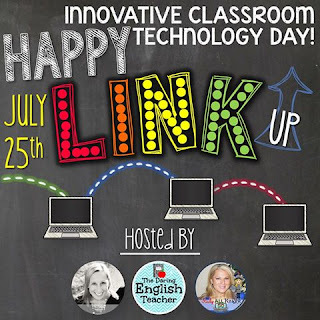 I am joining dozens of other innovative teacher-authors who are all sharing their tips and resources in celebration of Innovative Classroom Technology Day! Check out all these great resources by clicking the links below! Sorry, Deola! I'm not sure about that! Nest idea. Can you provide an example of when I would want to use an although download? I'm thinking for use with students. Thanks for stopping by, Kim! I might use this trick with my students if I was wanting to share a digital resource and have each student working on their own copy. Many schools do not have access to Google Classrooms, and this just takes out the extra step of having your students "make a copy" so that a Google Drive master copy isn't edited. Great tip! I didn't know how to do that. Perfect timing! I was just about to set up my first email sign-up freebie! So the visitors never actually access your Google Drive folder, right? No, they don't, Stephanie! Just pop the URL into a new tab in your browser to test it out!